Are you looking for a way to treat your children to some family-friendly, frugal summer fun? The Regal Cinemas Summer Movie Express 2013 is ready to leave the station and the Being Frugal family will be participating for the tenth year in a row. 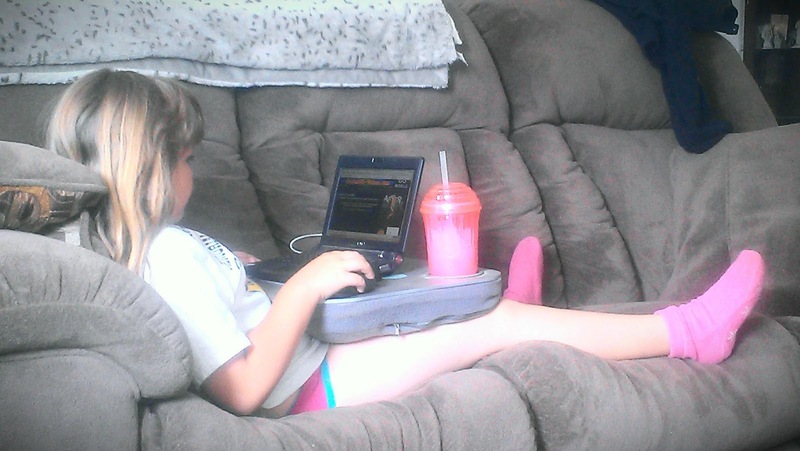 The Regal Cinemas Dollar Movies program is a great way to have some frugal family fun during summer vacation without breaking the budget - it is like having a staycation every week. Participating Regal Cinemas will show the Summer Movie Express dollar movies every Tuesday and Wednesdays. Most of the Regal dollar movies programs begin June 4th or June 11th 2013, ours begins on the 11th. The Regal Cinemas Summer Movie Express 2013 is ready to begin. Over summer vacation, for 9 weeks, select Regal Cinemas will offer selected G or PG rated $1 dollar movies every Tuesday and Wednesdays at 10:00 am with a portion of the proceeds to benefit the Will Rogers Institute. One of Life's Simple Pleasures - A Night in a Motel! I have always been a fan of the simple things in life. Even the smallest item or gesture can make a big difference, often leaving a positive and rewarding impact. One of my simple pleasures is staying in a motel. My husband travels for work so staying in motels is not nearly as enjoyable for him, but the kids and I absolutely love getting away and getting to spend a night or two in a motel. For me it is a mini vacation - away from home, no worries, no mess to clean up, no fuss. For the kids, it is a chance to stay up late while watching tv, swimming in the indoor pool and jumping on the beds. Yes... we let them jump on the beds when we stay in a motel - another one of those simple pleasures! Whether we are staying at Hotel California, a motel in Miami, or a country bed and breakfast... I am going to make the most out of my time even if only for a night. My dad, both grandfather's, and several of my uncles have all served our country in different branches of the military. My dad was stationed in Germany in the early 70's. In celebration of our nation’s brave soldiers who have returned from service and are making a difference in their communities, Procter & Gamble® has teamed up with Dollar General to honor our military as Every Day Heroes in June. Just as our military families have made a commitment to our country, Dollar General is committed to delivering valuable savings on America’s favorite brands every day. To celebrate and honor military service, Dollar General chose Sparky Edwards as its Every Day Hero for June 2013. Sparky exemplifies the Every Day Hero. He is a retired, decorated military veteran who served in South Korea and in Iraq. Once an at-risk teenager, Sparky turned his life around with the help of a National Guard youth academy. The fresh start helped him earn his GED and enter the military. Today he is a successful business owner, pursuing his PhD and paying it forward by volunteering to mentor at-risk teenagers. 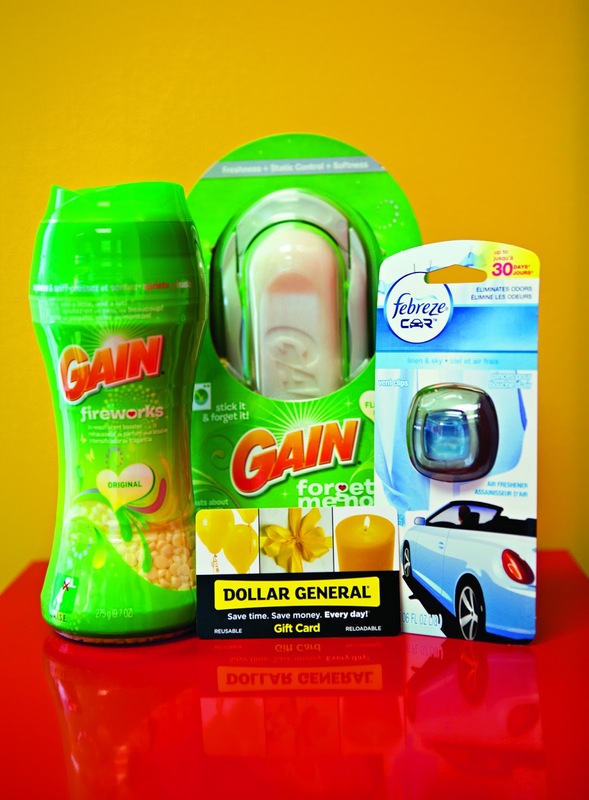 Did you know that you can use yourr P&G brandSAVER coupons at Dollar General for even more savings on everyone’s favorite brands, like Tide, Gain, Downy and Febreze? 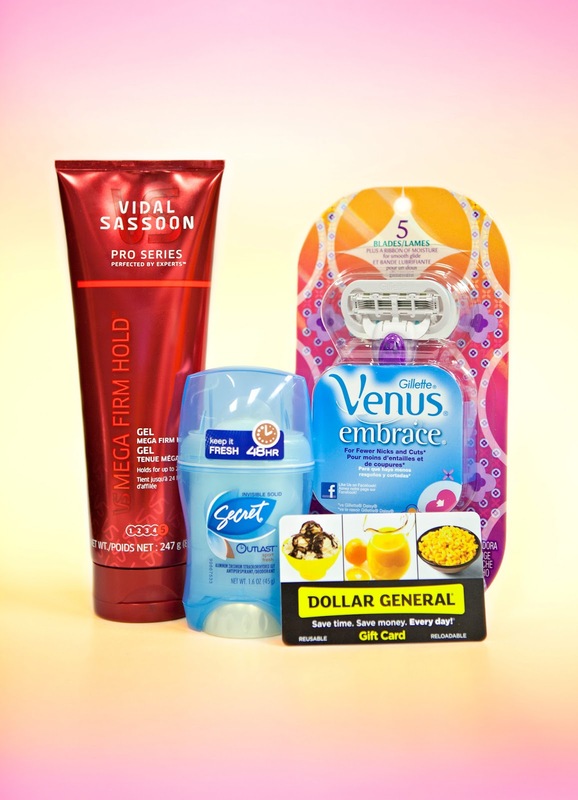 Be sure to pick up the June P&G brandSAVER® in your local paper on Sunday, June 2. The beach has always been one of my favorite places. From the very first moment I remember seeing the ocean, I have always dreamed of having an oceanfront vacation home. Although that dream has yet to become a reality, we have already reserved an oceanfront beach rental for summer vacation. Two more months... I am counting down the days! A secluded, beautiful and private oceanfront rental would be ideal, but not yet a reality within reach. One day I am positive that I will be able to make my childhood dream come true. Being able to see, hear, and smell the beach on a daily basis would make daily life seem so peaceful and relaxing. There isn't a single thing that I don't love about the beach... well, except maybe the sand in my shorts! Tasty, Healthy, Fun & Entertaining Blog Giveaways - Enter to Win! My husband called me on Wednesday to tell me that he had won a pair of tickets to Silverwood Theme Park on his way to work. He was listening to his regular radio station and was lucky caller #5! High School Graduation - 20 Years Ago Today! High school graduation is an important milestone as a teenager. I was 17 years old, scared and excited to take the next step! 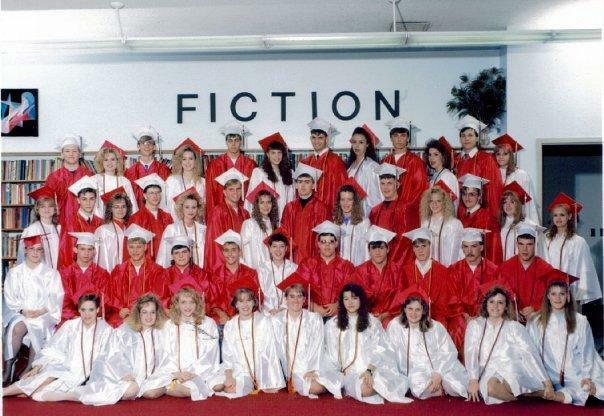 Twenty years ago today, I was part of the graduating class of 1993! Where has the time gone? Class of 1993... 20 Years Ago! Our 20 year reunion is this summer! I'm still a little blown away by the fact that it has already been four months since my Smooth Fitness treadmill arrived and my journey began. Having this wonderful award winning piece of home exercise equipment readily accessible each and every single day has taken my fitness journey to an entirely new level. Before becoming a Smooth Fitness Ambassador, exercise was something that I thought about often but rarely executed and put into action. More often than not I would come up with some excuse, or simply put it off until tomorrow... and we all know that more often that not, tomorrow keeps getting put off! Am I right? The day that my treadmill arrived, I made a promise and a commitment to myself to use it 3-4 days a week without question. No more excuses! In less that a week, I could see and feel the difference. I had more energy, I felt better, I was in a better mood, and I was sleeping better at night. I will admit that during that first week I had asked myself what I was thinking, what I got myself into and wondered if it was worth it. Even thought I finished, my first fitness test results were horrific, but that only made me want to do better. I worked hard (both on the treadmill and by participating in a few fun runs with my children), and the last time I completed the fitness test my results had improved greatly! I went from not being able to run around the block to being able to run an entire mile! Something that I never thought could have been possible, and I would have called you a liar if you had told me otherwise! Now I know that I can and I am actually proud of myself and how far I have come. Have you ever dreamed of going into space? • Win a Family Trip to SPACE CAMP! - Tune in to Space Warriors on Hallmark Channel May 31 at 8/7c for the secret keyword to win a family trip to the U.S. Space and Rocket Center’s Space Camp! • How Spacey Are You? QUIZ – Are you a Space Warrior? Do you use the stars to navigate your journeys instead of the map function on your smartphone? Take this quiz to find out whether you're destined to orbit the cosmos or whether you're happiest living here on this planet. • Prepare for Blast-off! Space Warriors Viewing Guide – Mark your calendars for May 31st and check off the boxes as you watch Space Warriors for the most spectacular, spaciest experience! 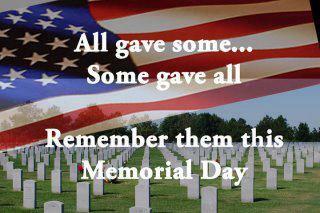 Our Freedom Does Not Come Free - Memorial Day 2013! Please remember that our freedom does not come free! This Memorial Day, please take the time to remember and thank all those who have fought (and are still fighting) for our freedom! Turn Your Dreams Into a Reality! When you were a little kid, do you remember what you wanted to be when you grew up? Maybe you wanted to be an astronaut, fireman, police officer, nurse, or maybe even a writer! For as long as I can remember I knew that I wanted to be a Mommy. For me, I was fortunate enough to have my childhood dream become a reality when I was 25 years old. My 12 year old son wants to be an engineer, architect and a professional football punter when he grows up. If anyone can do it - he surely can! My 9 year old daughter tells me that she is going to be a Mom just like me! Sometimes people need a little help making their dreams come true. Did you know that AWAI has been making dreams come true for inspiring writers for over 20 years? Having a leg-up can often mean the difference between failure and success. Every parent thinks they know their baby well, but are they willing to bet on it? Bet on Your Baby is a new show where parents play fun games with their toddlers, and try to “bet” on what baby will do next! If they guess correctly, the family wins $5,000 in college tuition money, and the chance to play for $50,000! All of these heartwarming and hilarious games are played in a toy-filled room called the Baby Dome. Do you think that you could predict what baby will do next? How well do you know the behavior of babies? How do you think these toddlers will fare playing these games in the Baby Dome? Take the quiz to find out! View the cutest clips of the stars of the show! Visit the Game Gallery to watch the babies and parents in action, playing awesome games together such as Toy Time, Stack 'Em, and The Sound of Moo-sic. Tweet with the #BetOnYourBaby hashtag to get excited about tuning in on Saturdays at 8/7c on ABC! 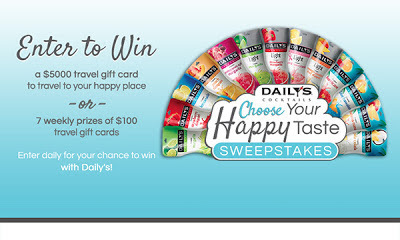 Daily's Cocktails Choose Your Happy Taste Sweepstakes! If you could tap your heels together three times, whisper those famous words, “There’s no place like…” and transport yourself anywhere in the world, where would you go? The "Choose Your Happy Taste Sweepstakes" could be the answer! You can enter for free every day to win the grand prize of a $5,000 travel gift card! They're also giving away 7 weekly prizes of $100 travel gift cards. Head on over to Daily's Cocktails and enter for your chance to win! Motivation... Because I'm Worth It! Motivation... we all need it! Motivation varies from one person to another and can even vary day to day. Maybe your motivation is finally fitting in that bikini, liking what you see in the mirror, or positive reinforcement from family and friends. I was born in the 70's and grew up listening to Classic Rock Hits on the radio with my parents. I even vaguely remember attending a Battle of the Bands concert in the park at a very young age. Creedence Clearwater Revival (CCR), The Beach Boys, Eagles, Elvis Presley, The Beatles, Chicago and The Doors are just a few that come to mind when I think of classic rock. The thing I love most about listening to classic rock hits are the memories it brings back. When I hear certain oldies, I remember a special time and place. Many family road trips were paired with listening to classic rock hits on the radio. Good times! Just a Friendly Reminder... Complete the Mandatory Giveaway Entry! Just a friendly reminder... When entering my blog giveaways the mandatory entry must be completed before other entries will count! I've been noticing a lot of entries that have not been completed and I'm sad to say that those will not count and could potentially cause an entrant to lose their chance at winning! Have you entered my current blog giveaways? Are you looking for something fun and active to do with your children this summer? 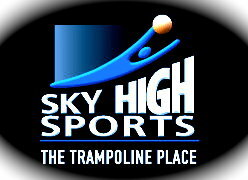 If you live in the Spokane area, you need to take your children to Sky High Sports for a fun day of jumping off the walls! I took my kids to Sky High Sports Spokane over Spring Break and we had a blast! From the main court area and the foam pits... back and forth, back and forth... the kids were going non-stop for 1 1/2 hours before they realized they were thirsty, hungry and exhausted! We all had a BLAST, it was SO much fun! Jumping, flipping, and laughing the entire time we were there. Both my kiddos (ages 12 and 9) say that their favorite parts were bouncing off the walls and the foam pit! We can't wait to go back! Not only was it a total blast, it was also a great workout! Sky High Sports also offers AIRobics, Trampoline Dodgeball, Foam Pits, Birthday Parties, Group Events, Corporate Events, Fundraising Opportunities, Trampoline Walls and Floors! Their wall-to-wall trampoline facility has been designed for one purpose: TO HAVE FUN. All ages can come play & improvise for some serious bouncy fun! As I pack my children's cold lunches each morning, my main goal is to provide them with a good, healthy lunch! It is important for them to have healthy foods to "feed" their tummies and their day of learning! I work in the lunch room at their elementary school and am shocked and horrified by what some of these young children bring to school for lunch. When I was recently asked if I would like to take the TruMoo lunchbox challenge with my children I'll admit that I was both excited and skeptical. Shelf-stable milk? I'm one of those that won't drink milk if it's been left on the counter for too long, so how could I bring myself to try milk that didn't even need to be put into the fridge to stay fresh? Did you know that by switching out juice drink boxes for TruMoo milk boxes in school lunches, you can replace ingredients like high fructose corn syrup and artificial preservatives often found in juice drinks with the calcium, protein and vitamin D found in milk, all important for growing kids? 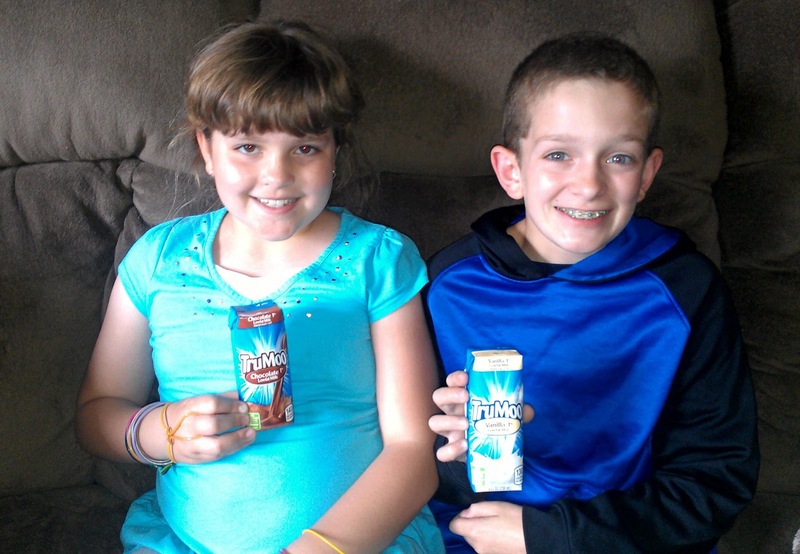 My kids love milk - plain, chocolate, vanilla, strawberry, butterscotch, caramel... TruMoo milk is both delicious and nutritious! It is also rich, smooth and makes the perfect addition to their lunchbox or any meal! As much as I love the internet, I have always been concerned about certain information being stolen by hackers. Several years ago my husband purchased train tickets online for his brother and a few days later we were contacted by our credit card company with concerns of suspicious activity on our account. Sure enough, someone had gotten our credit card information and charged over $6000 worth of items including round-trip tickets to New York. Great Blog Giveaways - Stop by and Enter to WIN! TGIF! I know that we are all busy, but be sure to take a few minutes and enter some blog giveaways today. I try to enter a few blog giveaways each day simply to increase my chances of winning. It is the perfect way to get some extra goodies for my own family and a way to stock up on frugal gifts for family and friends. Last week I won a $25 See's Candy gift card! I will be using it to get my Dad some chocolate covered caramels for Father's Day, they are his favorite! My kids and I absolutely LOVE seafood, but living in Idaho we rarely get to have fresh seafood. Visiting the Oregon Coast every summer helps, but we need more than that to satify our seafood needs. That's why we count on the Gorton's fisherman! 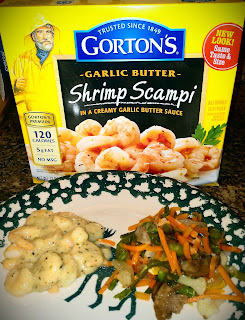 I've been lucky enough to be provided with the opportunity to try a variety of Gorton's seafood at home with my children and we can't get enough. Gorton's Seafood tastes delicious. As part of our decision to eat healthier, I'm thrilled that Gorton’s offers 20 products with 200 calories or less per serving. We especially love their Shrimp Scampi, Buttery Shrimp and Grilled Tilapia. With so many different types and kinds of seafood, you can create the perfect meal every night of the week. Every single time! How about sitting down for a delicious and healthy meal that takes less than 30 minutes to prepare? As a busy mom, meals that are healthy, quick and easy are often those that save the day and allow me to spend valuable time with my children. If my kids had their way, we would have Gorton's Seafood for dinner every night of the week. Unfortunately, Daddy doesn't like seafood so we can't indulge as often as we'd like! My Fitness Test Results Are In: From Bad to Average! As part of the #SmoothBlogger program I have been sharing my personal experiences since receiving an amazing treadmill. 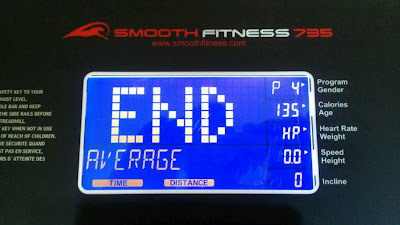 Two months ago I completed the fitness test on my Smooth Fitness treadmill for the very first time. I will admit that I was a little disappointed with the results, but it made me want to do better. My goal was to improve just a little bit each time I took the fitness test. Any improvement was going to be considered a success in my eyes. The fitness test program grades you on your speed of completion, which is determined by how far can you walk, jog or run in 12 minutes. You receive 1 of 5 grades: very bad, bad, average, good or very good. This morning after completing the fitness test on my top rated treadmill, I received something that I never had before... my result was not "bad" this time but instead it was "average!" Were my eyes playing tricks on me? I had to take a double-look to make sure that I did indeed see what I thought I did flashing on the screen in front of me. 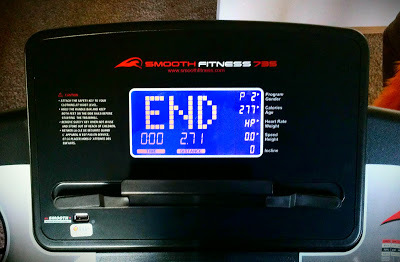 I am not a runner by any means of the word, but I have gone farther than I never thought possible since receiving my Smooth Fitness treadmill. 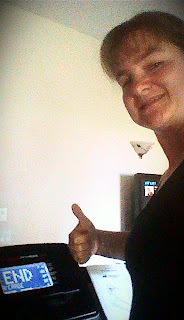 Running around the block was impossible and now I can jog for entire mile and a half! A year ago if anyone had told me I'd be able to do that I wouldn't have believed them. 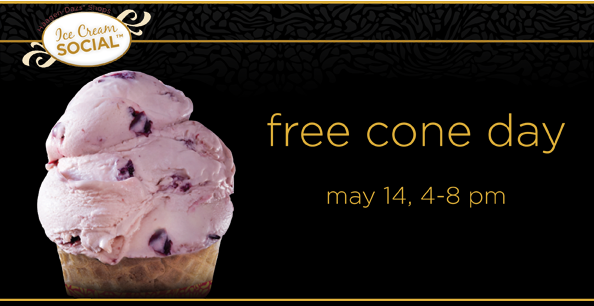 Today is Haagen-Dazs free cone day, so take the kids to your local Haagen-Dazs and have a frugal after school treat. I know that my kids love ice cream no matter what the occasion! My grocery shopping list has changed in conjunction with my journey to a slimmer, healthier lifestyle over the past several months. 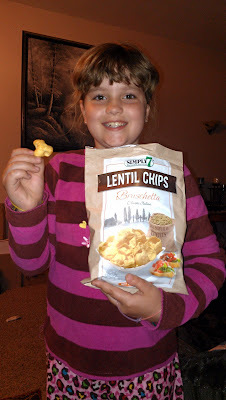 I recently had the opportunity to sample a variety of Simply7 Snacks healthy chips. 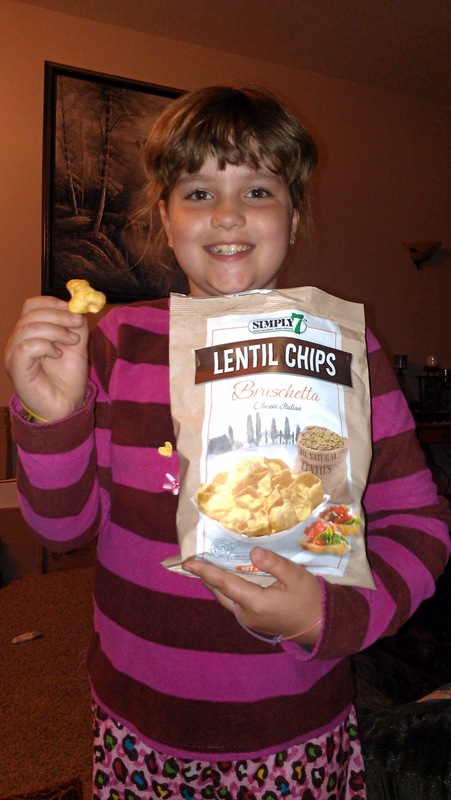 My personal favorites were the Creamy Dill and Bruschetta Lentil Chips. Both of them were simply delicious! These healthy chips were full of flavor! I loved that they were both crispy and "fluffy" as my kids say. We also loved the unique shape of the lentil, hummus and pomegranate chips. My son has braces and isn't allowed to eat most chips, but he could easily eat these ones without having to worry about them messing up his brackets. I also love that they are a healthy alternative to regular potato chips and contain 40% less fat! No need for dip with these healthy chips! Chick-fil-A New Salads & Wraps Giveaway - #FreshMade Just for You! 2013 is almost halfway over and it’s time to do something new! Forget about yesterday, today is #FreshMade! Each day we have a choice, a choice to do the same old routine or do something unique and different. It’s time to grow, it's time to change, it’s time to make your dreams a reality. Chick-fil-A is helping you make today #FreshMade, by creating new menu options that you can feel good about! They are introducing 3 new premium salads and an improved wrap all under 430 calories made with premium ingredients. Take your taste buds to greener pastures. Quiz: Are You A “Starter”? - Some of us wake up with pep in our step, ready to conquer the world. Others might need a little kick in the behind to inject something new into their lives! Find out if you’re already raring to to go or need a little help getting the good time rolling! Being a mom is the most rewarding job there is! Share Your Picture Perfect Memories with Best Buy! Every day should be a day to remember, but there are those special occasions that need to be celebrated just a little more. 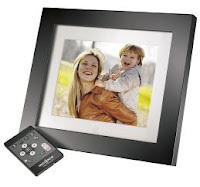 Mother’s Day, Father’s Day, birthdays and graduation are those important memory-making occasions that often lead to frame-worthy photo opportunities. This Mother's Day weekend will be one to remember with the newest addition to our family being just 5 months old. It is guaranteed that our cameras are going to be busy capturing memories all weekend long. In addition to capturing those picture perfect moments, being able to display them is even more important. Photo albums, photo collages and digital photo frames are among the most convenient. Best Buy can help make sure you never miss the important moments with a wide assortment of the latest cameras, including DSLR cameras, action camcorders, and compact cameras with long zoom, low light and wi-fi. 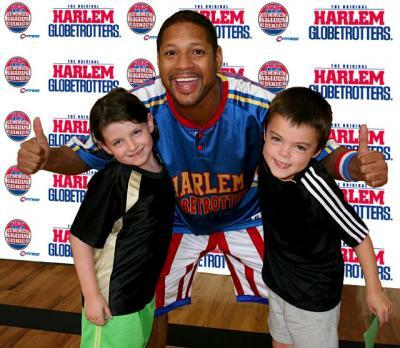 Harlem Globetrotter Summer Skills Clinics - Promo Code Save $10! Are you looking for a fun and exciting experience for your children this summer? Now everything awesome - kids, basketball, teamwork, and having fun – comes together at destination awesome: Harlem Globetrotter Summer Skills Clinics, the ONLY clinics coached by stars of The Harlem Globetrotters! My husband and I took our two children to see The Harlem Globetrotters for the very first time a couple months ago and we had a BLAST! 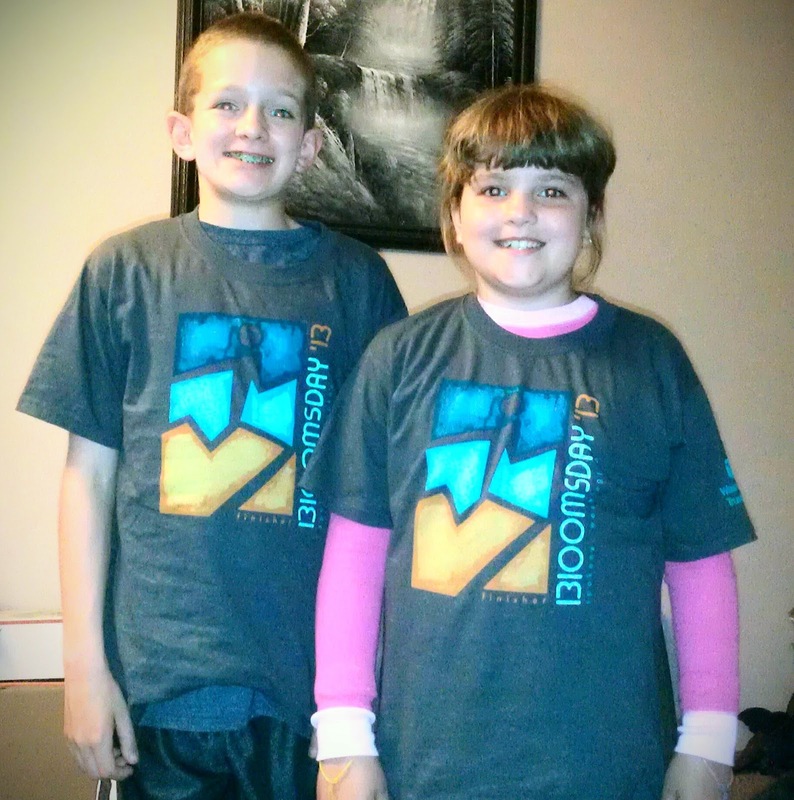 They kids are already looking forward to see them again next time they are in town. Everyone loves The Globetrotters, the stars who always put smiles on kids’ faces. At Globetrotter Summer Skills Clinics, our stars coach kids in limited size groups and bring laughs, encouragement and high fives for everyone! Globetrotters direct, motivate, inspire AND entertain, keeping it inclusive and fun for ALL boys and girls, aged 6-12, of ALL skill and experience levels. Each session is $59 and includes a free ticket voucher to see the Globetrotters live in 2014! But you can save $10 with promo code USFAMILY! Code is valid through 5/31. Autographs and photos with the stars! School will be out in a month and that means summer vacation! 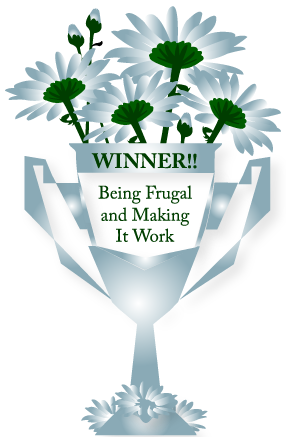 As a stay-at-home-mom I'm always looking for frugal, fun activities to enjoy with my kids while they are home for the summer. Some of our favorite frugal summer activities include going to the beach, feeding the ducks at the park, bike riding, playing in the sprinkler, camping and jumping on the trampoline. The kids also set up a lemonade stand in our driveway a couple times each summer. 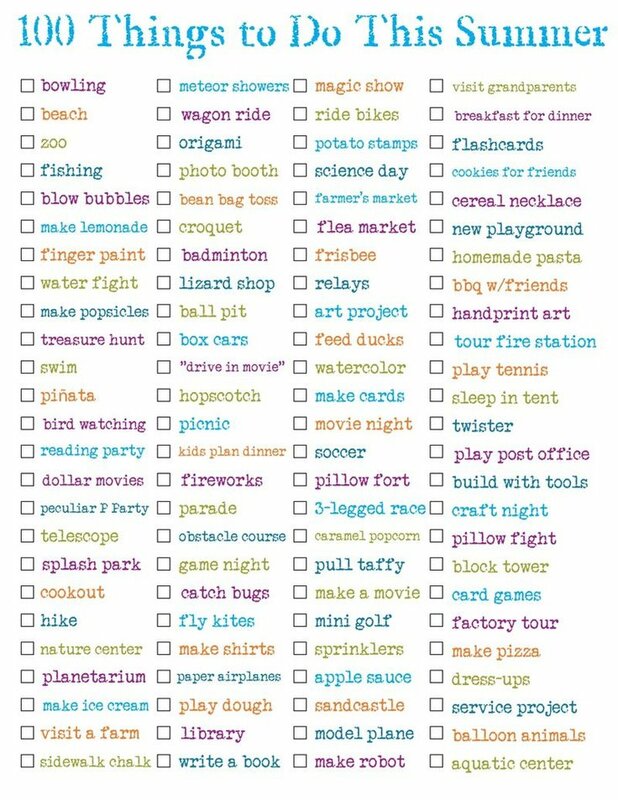 This summer we are going to try and complete every activity on this "100 Things to Do This Summer" list! 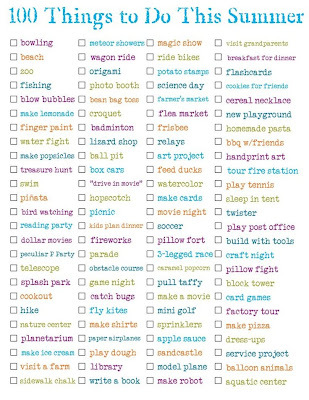 I have printed it off and the kids will put a little check beside each one that we enjoy! Bloomsday Results 2013 - Crossing the Finish Line! On Sunday, May 5th my kids and I participated in the 37th annual Bloomsday Run in Spokane, Washington! Bloomsday is a 12K Race (7.46 miles) that winds through the streets and neighborhoods of town and is ALWAYS the first Sunday in May! As my daughter and I were standing in the very large crowd waiting for our color group to start, we both made our guesses at to what color the Bloomsday finisher shirts were going to be this year. They are a different color with a different design every year and it is kept a secret until the finish line. My daughter guessed orange and I chose grey - never thinking one of us would get it right. My twelve year old son ran with one of his friends, setting their finish time goal for 1 hour. My son's main goal is to beat his time last year of 1 hour 9 minutes. My nine year old daughter and I set a goal of finishing in 2 hours or less. The crowds were insane this year, and we had a difficult time getting around people. Jogging off and on was few and far between because my daughter and I simply didn't have enough room to get around people very often. It was a beautiful day, but it was SO hot! Of course there were several water stations along the route, but I know that the heat slowed us all down. But, we kept on going, didn't stop and all of us made it to the finish line faster than we did last year! Bloomsday Run 2013 - 12K Today in Spokane, Washington! I HATE waking up early on weekends, but this is something the kids and I do every year. 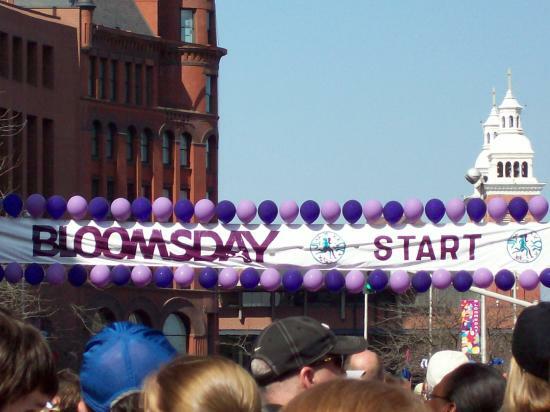 Today is the 37th annual Bloomsday Run in Spokane, Washington! Bloomsday is a 12K Race (7.46 miles) that winds through the streets and neighborhoods of Spokane, Washington and is ALWAYS the first Sunday in May! Bloomsday draws a crowd of over 50,000 people! There are several water stations and honey buckets along the route. As well as numerous entertainment acts for your enjoyment, the Schwan's ice cream truck where you can buy ice cream treats, people selling otter pops out of coolers, and spectators to cheer you on! Believe it or not, Bloomsday really IS a lot of FUN! My twelve year old son will be running this year with one of his friends. They have set their finish time goal for 1 hour. My son's main goal is to beat his time last year of 1 hour 9 minutes. My nine year old daughter and I will be walking, and have set a goal of finishing in 2 hours or less. Did you know that Purex is teaming up with Little Tikes to make parents' lives this summer just a little bit easier? 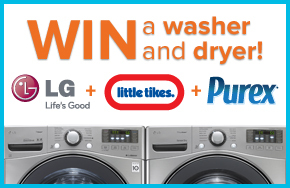 Be sure to enter the Kick Back and Play Summer promotion for your chance to win a variety of amazing prizes including a playground, a washer & dryer from LG, and a year's supply of Purex! Summer is about having a fun adventure every day. As a mom, I make sure that my kids enjoy their summer vacation by participating in a variety of fun outdoor activities. Among our favorites are going to the water park, swimming and boating on the lake, hiking in the woods, and riding bikes along the scenic trail. I love the exciting adventures that my children enjoy when they use their imaginations. Their fort can turn into a pirate ship, their bikes into a race horse, or their tube into an island in the middle of nowhere. Lose Weight, Eat More Food, and Gain Energy: The Fast Metabolism Diet! As warmer weather and the thought of summer fun approaches, you may be thinking about getting your body ready for your bathing suit. I have been sharing my weight loss journey with you over the past nine months, and recently began the latest chapter in my quest to a healthier lifestyle. I was recently asked to review the Fast Metabolism Diet weight loss book and didn't even think twice about accepting the challenge. 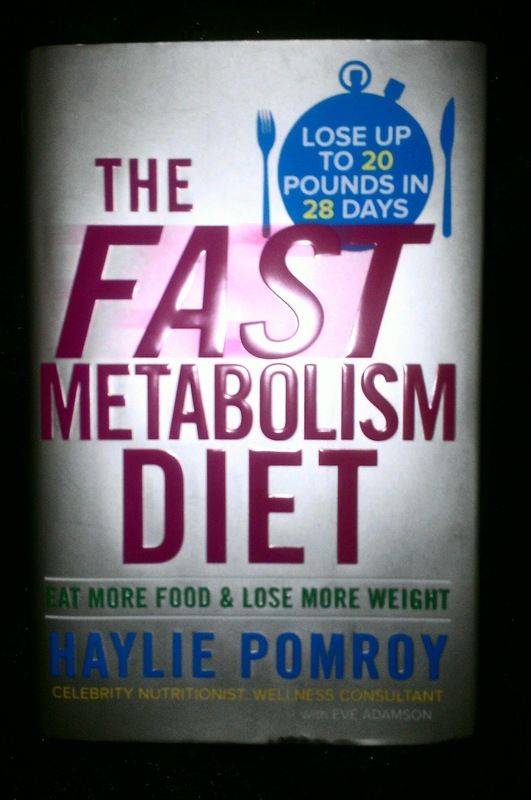 Author Haylie Pomroy was recently featured on the Dr. Oz show, where he called her the "Metabolism Whisperer." She's a celebrity nutritionist who has helped thousands of clients lose weight- all through the fat-burning power of food. Haylie reminds us that food isn't the enemy, but just the opposite. I've tried not eating in the past to lose weight, but the results were never good. I felt terrible, was always hungry, and ended up gaining weight in the process. I learned the hard way that you have to feed your body in order to lose weight. The Fast Metabolism Diet is broken down into three phases that are carefully designed to induce precise physiological changes that will set your metabolism on fire. If you love tropical scents and clean, fresh laundry... you are going to love Purex Natural Elements Tropical Splash laundry detergent! As soon as you open the cap you can smell the light scent of coconut, pineapple and flowers! 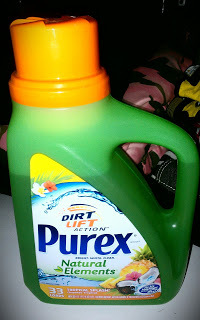 As a Purex Insider I was recently given the opportunity to try Purex Natural Elements Tropical Splash laundry detergent and feel as though I was given a tropical vacation in addition to clean laundry. The scent alone will take you to a peaceful state of mind. Purex Natural Elements laundry detergent contains naturally sourced ingredients and natural fragrance extracts that deliver the same great cleaning as regular Purex detergents. Available in three fantastic nature-inspired fragrances, which are also available in Natural Elements liquid fabric softeners. All varieties are hypoallergenic and free of dyes, making them perfect for every member of the family. Even those with sensitive skin, infants and toddlers included! Making it easier to do your laundry.